Xel Training & Development provides specialist recruitment support helping customers recruit the ‘right’ people for the ‘right’ roles. 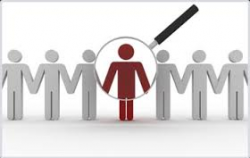 Recruitment support includes improving the selection process used for new recruits joining the business and/or when restructuring the existing team. We are not a recruitment agency, we do not advertise vacancies or manage candidate databases. You source the candidates and we help you to reduce the risk of making a potentially incorrect and costly decision by providing you with specific tools and a level of expertise that you don’t have in-house or simply by providing you with a second opinion. We have an excellent track record of success. For more information about our latest case studies, recent projects and references and to find out how we can help you to recruit more effectively, please call 01772 611115 or 020 7100 1331 and speak to one of our Business Consultants. “Andrew Jones and his team at Xel Training have been extremely helpful and have helped to change and significantly improve our recruitment process which now involves defining the ideal person profile (behaviours and skills needed) for a specific role and conducting a psychometric test of any potential candidates. For certain roles, Andrew or a member of his team have actually taken part in the interview process and have interviewed candidates either individually or as part of a selection panel as was the case when I recruited a Sales Director for the business. Alistair Needler – Managing Director – Needlers Ltd.